Finger Spools are most often used as Gap Reels (for Short-Distance Exploration) or when deploying a safety sausage during a drift dive. 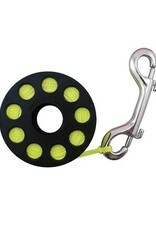 Small and Low-Profile, a Spool fits nicely Out-of-the-Way in a Pocket or Clipped-Off to a D-Ring. 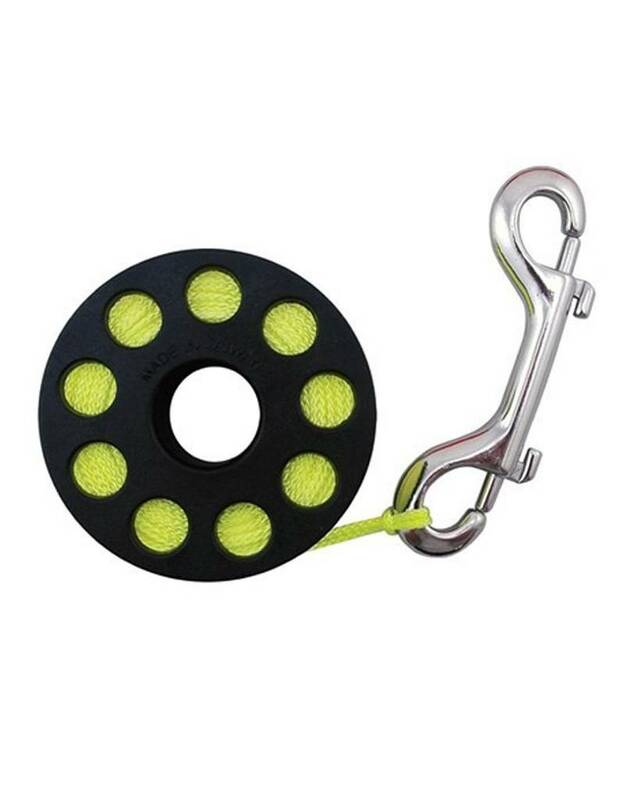 The Holes in the side allow for Clipping in a Double-Ended Snap anywhere along the Perimeter of the Spool to keep the Line Tight when not in use. This Finger Spool Reel also comes with a Durable, Double-Ended Brass Snap Clip for Ease of Attachment.